As I mentioned, placing display advertisements on your website will almost certainly be how you make your first dollar online. If your website is up and going, you can sign up for an account with Google AdSense or another network and begin generating money for your business as soon as you can get people to come to your website. You shouldn’t rely exclusively on making money through putting banners on your websites, but they are a very nice way to get some early revenue—especially if you can get several thousand people to come to your website each month to read your content and view your ads. Display advertisements are typically sold through a network, like Tribal Fusion, Media.Net or Amazon CPM ads. Advertisers will work with the advertising network and create campaigns to promote their products and services. They will bid to place advertisements on webpages that mention certain keywords, to show ads to people that meet their demographic requirements and to show ads to people that have already visited another website and are being tracked by a retargeting cookie. Whenever someone visits your website, the advertiser will automatically review all of the bids to show ads to that particular user and will show the ad that will generate the most revenue for the publisher (that’s you). On the publisher side, you will need to first sign up for a publisher account with an advertising network. They will then review your website and make sure that it meets basic quality criteria. After your account has been approved, you will be able to login to their website and get code snippets that will place banner and text advertisements on your website. The ad units that will be available to you come in standardized sizes as measured by pixel dimensions, such as 300×250, 336×280, 728×90 and 160×600. Commonly, publishers will put a 728×90 banner in their header, a 300×250 banner in the sidebar of their site and a 336×280 ad inside of their content. You can manually place your code snippets inside your theme using widgets or pre-defined ad spaces in your theme, or you can use one of many WordPress plugins to place them for you. After you place the ad units on your website and people began to visit your website and view your ads, you will begin to generate revenue. The advertising network will update your earnings at least once per day, so that you can see how much money you are making by running their ad units. At the end of each month, they will tally up your earnings for the previous month. Typically, you will receive a payment around 30 days after the end of each month, but some networks make payment as soon as 21 days after the end of a month and some networks take as long as 60 days to make payment. Ad networks typically issue payments via ACH, via check or via PayPal, but this can vary from network to network. 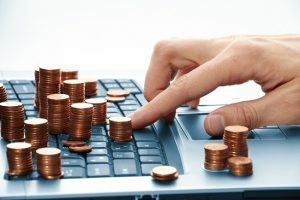 How much can I earn from display ads? Your capability to generate revenue by running display ads will depend on four primary factors: what niche you are in, what ad network you choose, how much traffic your website receives and how well you optimize your ad placements. The price that advertisers pay to show ads on your website largely depends on how many different advertisers are bidding on placing ads on your website and what they are willing to pay, so the average revenue per 1,000 impressions (also known as RPM) can vary dramatically from niche to niche. Ad prices will be higher in categories where there is a lot of money to be made. Websites about insurance, real estate, investing, medical malpractice will invariably command higher ad prices than websites about video games, crafting and gardening simply because advertisers that sell financial products and services and file lawsuits on people’s behalf make a lot more money than businesses that cater to people with relatively inexpensive hobbies. In less lucrative niches, you may be able to earn $3.00 to $10.00 for every 1,000 people that visit your website. In highly lucrative niches, you can make between $25.00 and $40.00 for every 1,000 people that visit your website. 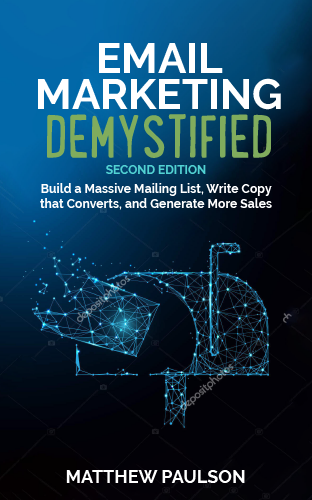 You can use the guide outlined in chapter one to make an estimate of what you can earn per every 1,000 people on your website based on the keywords that people will use to find your website. Not all ad networks are equal. Some ad networks will pay dramatically more money for the ad space on your website than others. Large advertising networks and advertising networks that cater specifically to your industry will have more advertisers competing to place ads on your website and can therefore pay more money to place ads on your website. Conversely, many smaller ad networks have no unique advertisers of their own and simply resell your space to bigger advertising networks and exchanges, like AdX. Focus your efforts on large advertising networks, like Google AdSense and other networks mentioned in this chapter, in order to make sure that you are on an advertising network that has a healthy level of advertisers competing to place ads on your website. Since display advertisements are generally sold on a cost-per-1,000-impressions (CPM) or a cost-per-click (CPC) basis, your revenue will go up as more people visit your website. When more people visit your website, more people will view your ads, click on them and buy products and services from the advertisers that put ads on your website. Choosing a profitable niche, picking the right ad network and placing optimal ad units on your website won’t matter unless you get people to come to your website. In order to grow your revenue to $1,000 per month and then $10,000 per month, you are going to need to build an audience and get tens of thousands of people to visit your website each month. In order to maximize the effectiveness of your ad placements, you will want to put them in highly visible places on your website. This typically means placing them “above the fold”, meaning that users can see the majority of your ads without having to scroll in their web browser. When you put ads on the bottom of your website, very few people will see them and click on them, which will hinder your ability to generate revenue. You should also put your ads near the main content on your website, because that’s what most readers that visit your website will be focusing on. I will generally put a 728×90 banner in the header of my website, a 300×250 or 336×280 ad unit at the top of my sidebar and another 300×250 or 336×280 ad unit somewhere inside of each post. This combination of ad units tends to generate a relatively high click through rate without creating a bad viewing experience for your users.